The only Turkish national to die in the London 7/7 bombings had come to the city to improve her English. 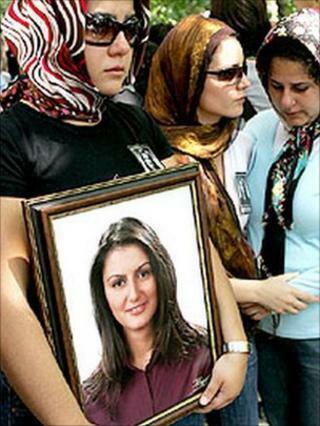 Gamze Gunoral, 24, left her aunt's house in Totteridge, north London, on the morning of 7 July 2005 . She died on the way to her language college in Hammersmith, west London, when a bomb was detonated on a Piccadilly Line Tube train near Russell Square. Born in Istanbul and an only child, Miss Gunoral was brought up by just her mother from the age of five after her parents divorced. She had an artistic streak, with paintings exhibited from a young age and played volleyball for a local club. Music was another interest and she learned to play the mandolin, recorder and keyboard. Her hard work at school paid off when she was accepted at the University of Marmara, in Istanbul, to study finance. After graduating in 2003 as an actuary, she went on to join Gisad, Turkey's largest textile export company. At the inquest into her death, her uncle Tawfiq Ghayas said in a statement that Gamze rose to all the challenges of her job and wanted to make her mother proud. While with the company, Miss Gunoral decided to take a year's break to go to London to improve her English. At the time of her death, she had been a full-time English student in the UK for just two months. Osman Hokelek, an administrator at the Active Learning School, described her as a lovely girl who had just started to settle in and make some close friends. She also took up a part-time job in a London fashion store to practise her spoken English. Her other interests included watching films, Formula 1 racing, vintage cars and baking cookies. Her mother took her body back to her homeland, where she was buried in a ceremony in Istanbul.